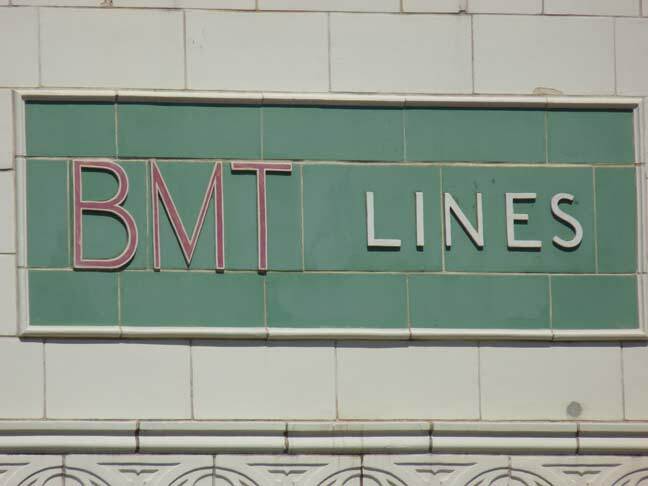 Terra cotta subway signs that were on Coney Island’s first depot constructed in 1920 were restored as part of the new depot constructed in 2002. … a look at the Grashorn Hardware Building; constructed in the late 1800s. it’s the oldest remaining building along Surf Avenue. 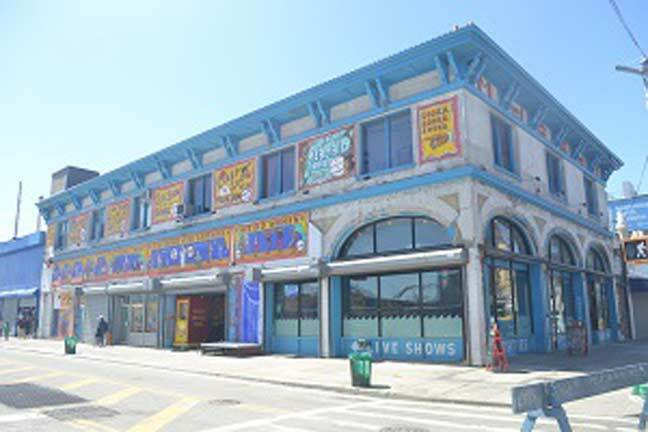 The Coney Island Museum, celebrating nearly 25 years in business, helps keep Coney Island’s old honky-tonk and poor-man’s Riviera spirit alive. The Museum’s Fred Kahl, known as the Great Fredini when sword-swallowing, came out for a chat and promoted his new sculpture exhibit. 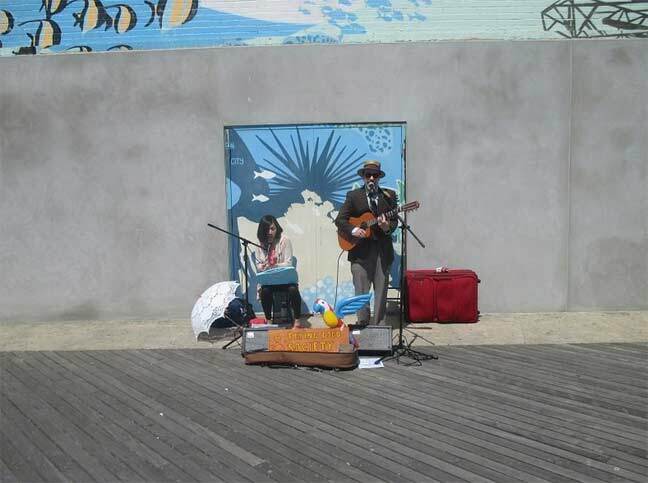 A free concert from boardwalk musicians. 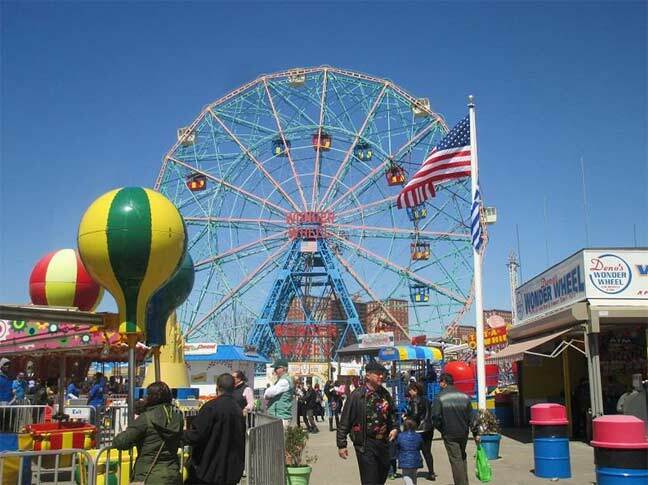 The eternal Wonder Wheel has been running since 1920 but will soon lose out in prominence to the Staten Island big wheel, which is planned to be 60 stories in height. ForgottenFans gathered inside B&B Carousell, which has been rebuilt and relocated on the boardwalk. Layers of old paint had been stripped off the horses and new paint has been applied. 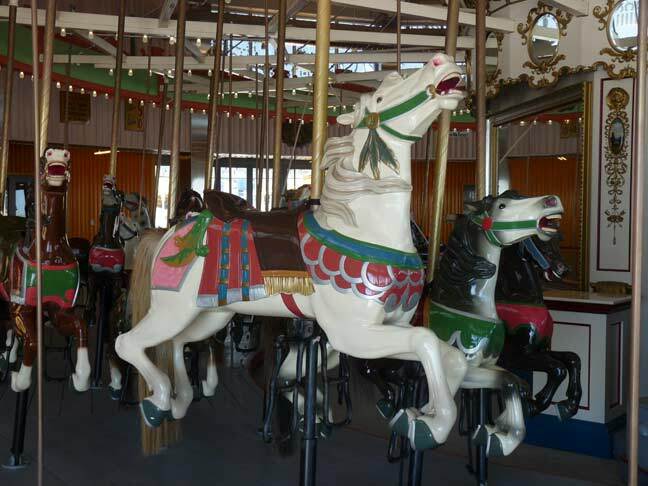 Parts of the “carousell” date back to its original construction in 1909, including this horse designed to commemorate the centennial of Abe Lincoln’s birth. 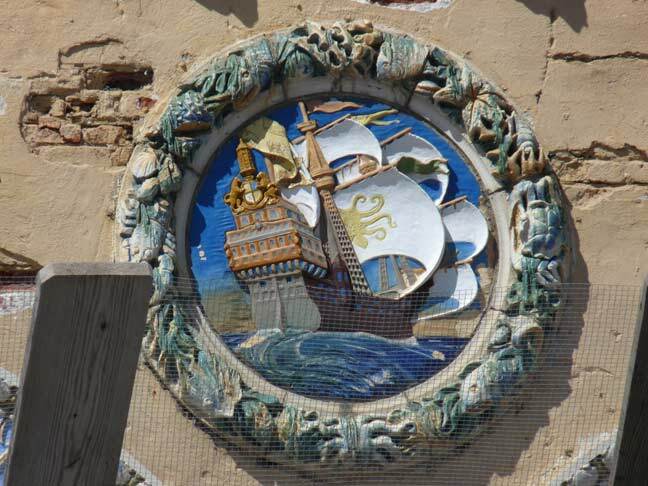 The ancient Child’s Restaurant at West 21st is finally getting a complete restoration. 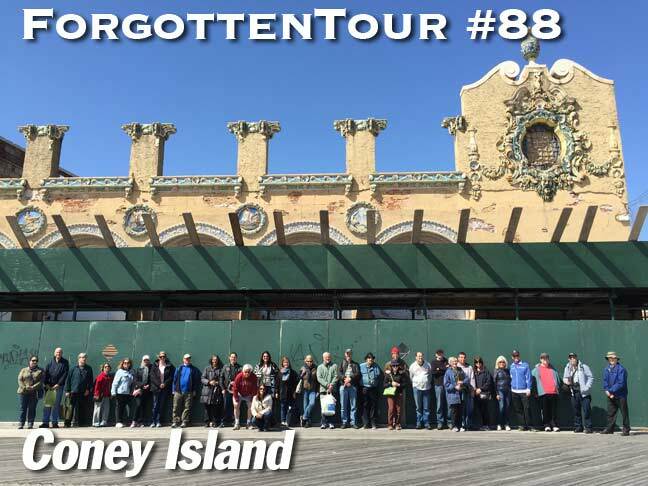 It features the greatest collection of decorative terra cotta to be seen anywhere in NYC; it has survived as a candy factory and roller rink, among other uses, for 90+ years. 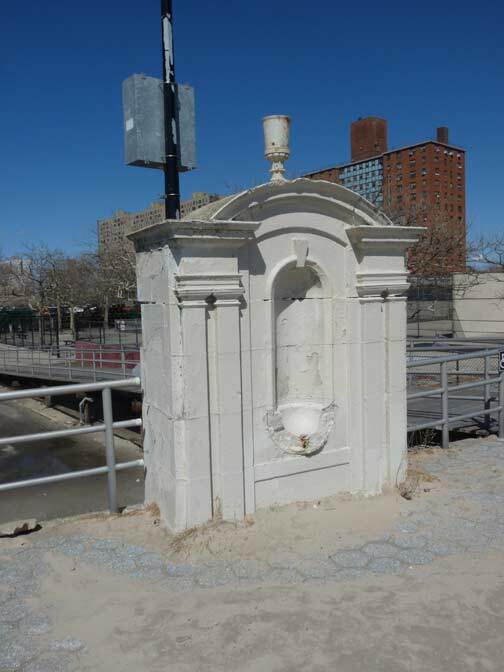 One of the boardwalk’s decorative drinking fountain/lamps built decades ago, and fallen into ruins decades ago. 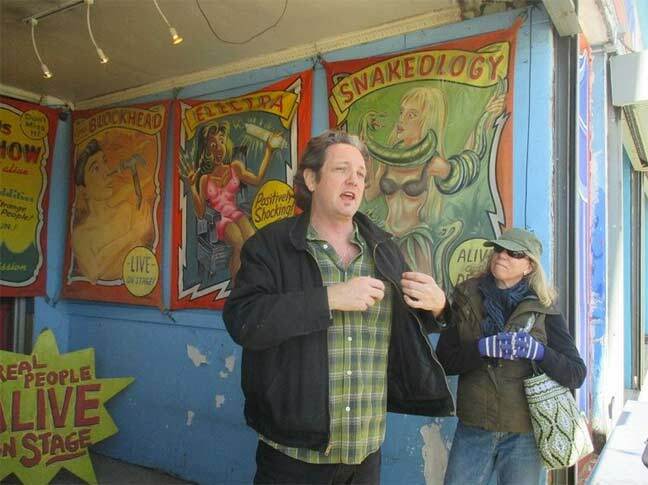 Thanks also to “Movie Mike” Olshan, who told stories of Old Coney. 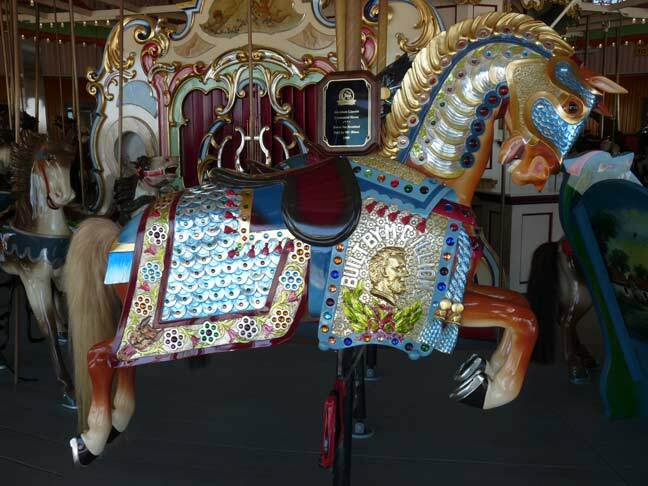 That carousel horse designed for the centennial of Mr. Lincoln’s birth is stunning! Thanks. 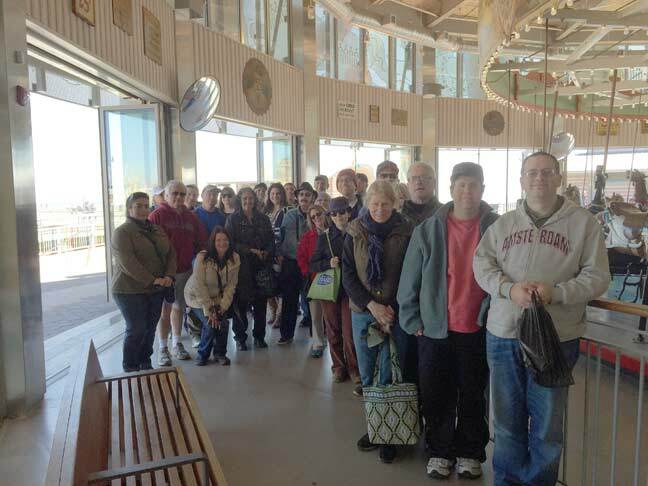 Thank you for sharing the pictures! It was a great day. A community center, but an interesting one. 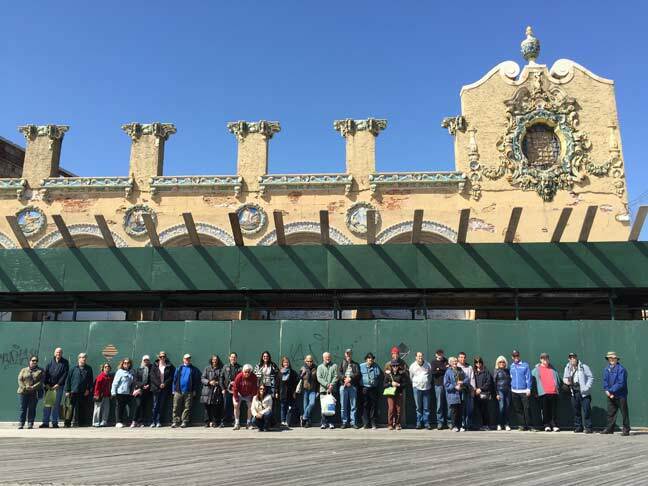 Here is the link about all of the lost amusement parks that NYC used to have that I was talking about while on that tour. 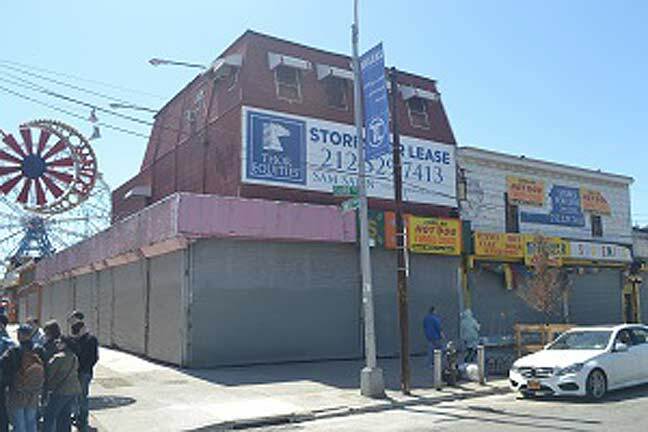 As a youth, I never knew that had been a Child’s restaurant at one time until I read about some time back in your great website……In my time, it was divided into separate businesses, one of which was a pizza stand that sold Sicilian style slices .